[Spring quality] Include hydrogen sulfide hot brine spring 12 ° Fine clouded white It is hydrogen sulfide odor slightly. Some white mineral-rich sediments. 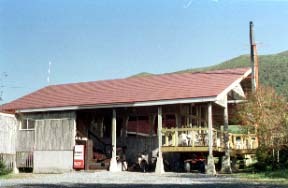 If it changes to Tohoku Line from Morioka, a train window will be changed completely for the view of the slightly elevated hill and stock farm in character with a southern part.The hot spring of the isolated lodge about 50 km of kitas in Morioka, the middle of the prairie which spreads between Mt. Nanashigure and Mt. Tashiro, and a nanashigure "has no 7 K of surroundings private house. "the wood grain which was making the wood grain which the fountainhead has in the Mt. 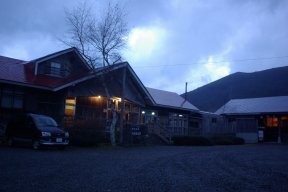 Nanashigure mountain side, and it uses for the lacquer ware "the Joboji coating" of the Tendai temple a long time ago -- a teacher says that he was carrying out heating use of the hot spring with firewood.The Iihatoobu trial from this grand environment, the old car meeting, the 7 shower concert, etc. are held every year. * The uphill mouth from Nishine-cho has a house "nanashigure" of old person relaxation.Please keep in mind that it is easy to mistake. The mineral spring which gushes from the Mt. 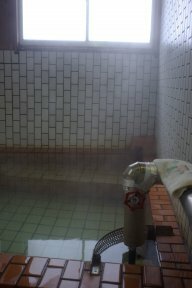 Nanashigure foot is drawn hot spring water from the source. Included hydrogen sulfide hot brine spring 12 ° A fine clouded white, mineral-rich sediment with hydrogen sulfide odor and slightly white some. With no heating circulation with steam for a total of 3.0 or more-component hot brine spring. The trial contest to which the 24th time was invited in 2000.The path through a wood (part public road) in northern Iwate is run.Four courses of KURASSHIKU Hiimuka Neri Dobree.A Nanashigure sansou is a start & goal spot of a classical music Hiimuka.An Iihatoobu expresses the language by means of which Kenji Miyazawa had a habit of saying in the work, and "Iwate as dreamland." Motorcycles the Classy quart assemble in a prairie. 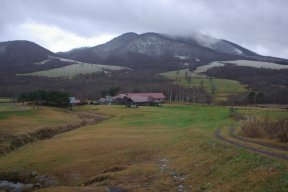 "7 Meeting which has a talk with nature of shower" sponsorship which the plan of large-scale development of recreational facilities is centering on Mt. Nanashigure, took the lead then around 1990, and developed the opposition movement.It is leisurely in a prairie. The Mt. Nanashigure (1063 m of two peakses) first-class triangulation station is an enough.360 views. 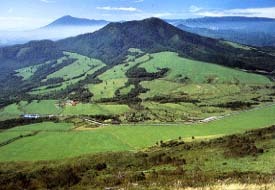 It is said that oxen and horses were located even on eat ascent and the top in grass a long time ago as for the scenery of the southern part which Mt. Tashiro (945 m) and Komakidachi (988 m) oxen and horses made, and a Komakidachi. I Change and Ask after Odate Arrival of the Above-mentioned Transportation.